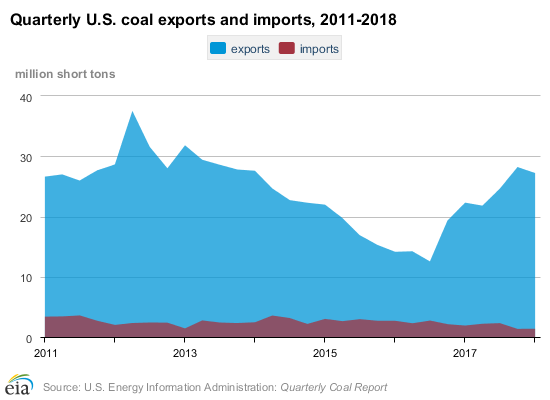 The United States exports more coal to other countries than it imports. Between 2000 and 2010, about 5% of the coal produced in the United States, on average, was exported to other countries. 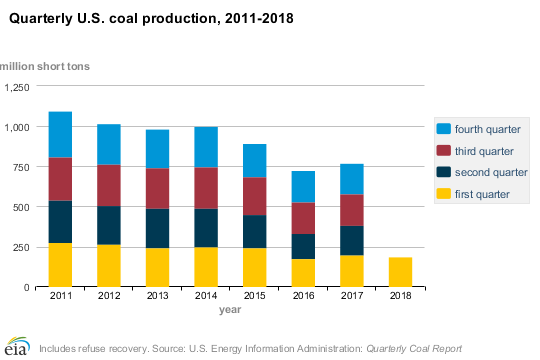 According to the World Energy Council, more than one-fourth of the world’s economically recoverable coal reserves are in the United States – making the U.S. the largest repository of coal in the world. Coal is present in 38 states and underlies nearly half a million square miles — or 13 percent of the nation’s land area. The state with the most coal production is Wyoming, which mined approximately 316 million tons in 2017. Of the coal mined in the United States, more than 90 percent is used to generate electricity at home and abroad.